The 2017 Award went to Pauline Forster, the landlady of the Grade II listed George in Stepney. Pauline has fought a hard battle over nine years against the Swan Housing Association. They want to build six luxury flats next door, which would block the light to an upstairs studio. This is used for photo shoots but new residents are also likely to generate complaints about the late license and noise from the music, something the pub is well known for. Pauline has spent the last 14 years turning the pub into a heralded music venue. Music pubs have proved to be the heart of developing bands, who have then gone on to be household names. These pubs are a declining breed and are in much need of protection. 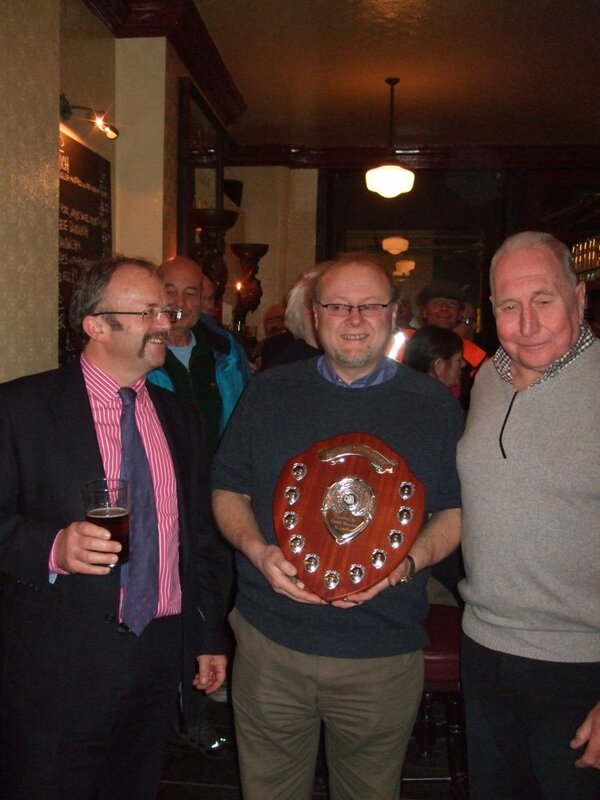 The John Young Memorial Award 2014 was presented to John Keeling on Monday 8 December 2014. More details from a Fuller's Press Release can be found by clicking the previous link. 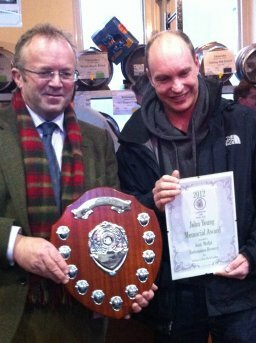 ●	To celebrate the memory of John Young and his impact on real ale and pubs within London. ●	To publicly acknowledge on an annual basis an individual or organisation that the London branches believe has done the most for real ale and/or pubs within the Greater London area. 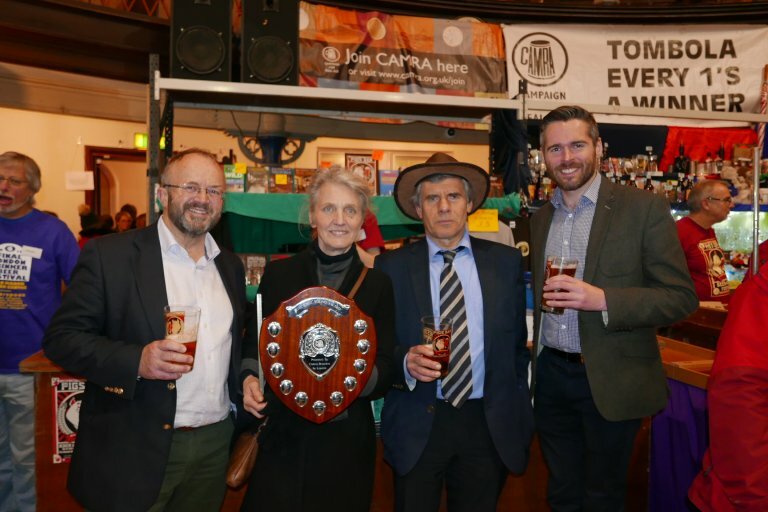 ●	To raise the profile of CAMRA within Greater London and the activities of London branches. 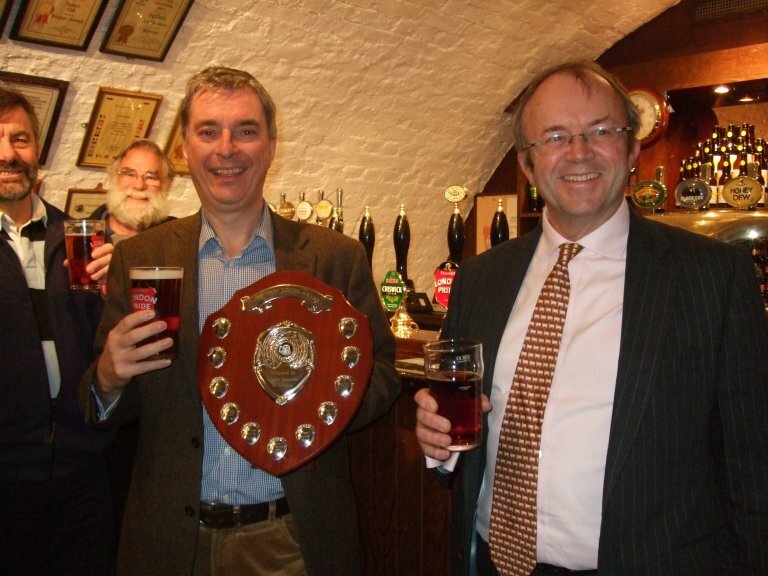 The first Award went to CAMRA founder and long-time Public Affairs spokesman for Young's, Michael Hardman (2007). 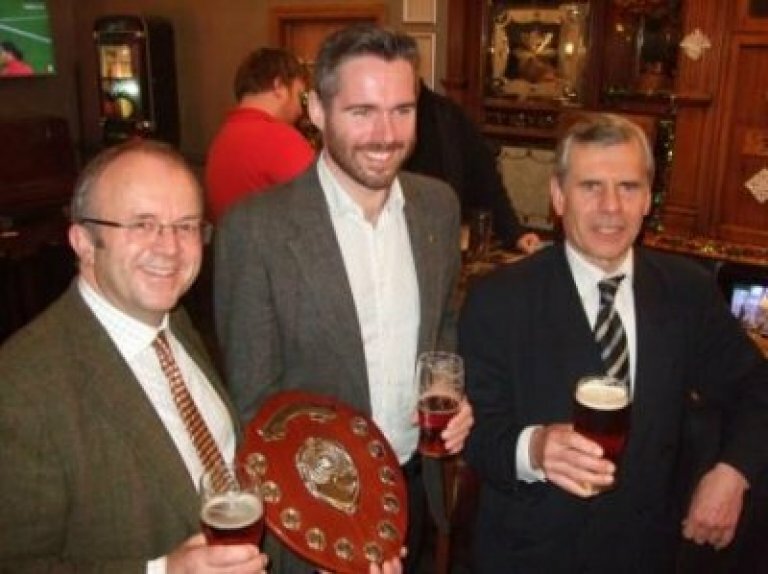 and in 2011, founders of Sambrook's brewery, Duncan Sambrook and David Welsh.